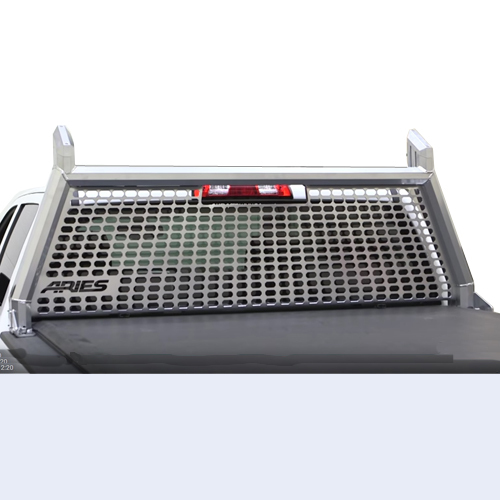 Aries Pickup Truck Cab Guards, Headache Racks, and Window Protectors prevent damage to your pickup truck's rear window and cab from flying objects and shifting cargo. The Original Aries Window Cab Guards are constructed from powder coated carbon steel and fit most full-size trucks with minimal drilling required. 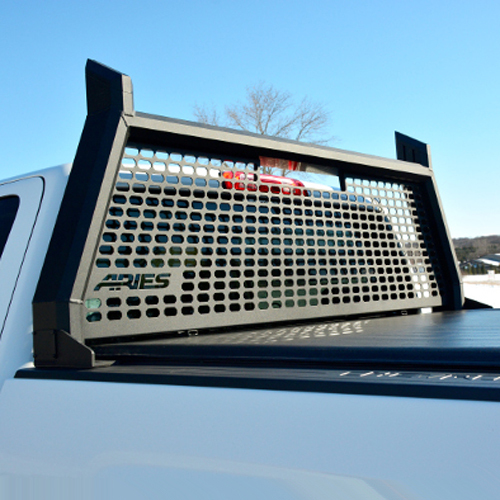 Aries AdvantEDGE Headache Racks are available in chrome or black powder coated aluminum and mount into the stake bed pockets of most full-size pickup trucks. 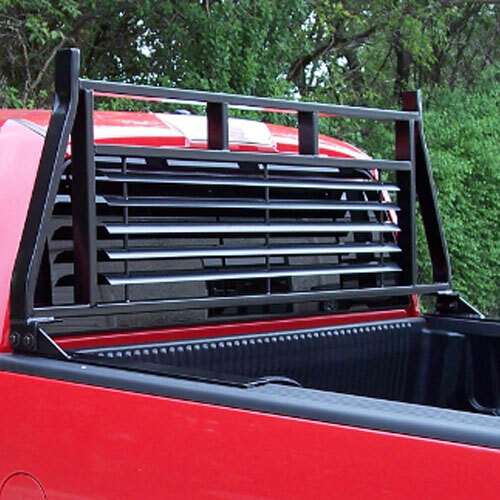 Aries pickup truck cab guards are available for immediate free shipping at RackWarehouse.com.